Park Taipei Hotel is situated at the center of Taipei City’s financial, cultural, and commercial districts. Conveniently located at the intersection of Fu-Xing S. Road and Xin-Yi Road, the hotel is only a few steps away from the Tamsui-Xinyi Line of MRT Daan Station Exit 6 and only 2 minutes away from the Wenhu Line of MRT Daan Station Exit 4. The TICC, TWTC, and Taipei 101 are only 10 minutes away by car; the Sogo Departments stores are approximately 10 minutes walking distance away. The hotel also enjoys close proximity to the Taipei Main Station (Taiwan High Speed Rail), Taipei SongShan Airport, and Taiwan Taoyuan International Airport, which are only 15, 10, and 50 minutes drive away respectively. Park Taipei Hotel possesses convenient transportation services that offers both business and leisure capabilities. After arriving TPE airport, turn left to the departure lobby and take the escalator to B2, then take the Taoyuan Airport Metro from A12 station to A1 station. Follow the direction to the Taipei Metro (Red Line), and take the MRT from Taipei Main Station(R10) to Daan Station(R05), the hotel is just in front of Exit 6 of the Daan MRT train station. After arriving TPE airport, turn right and take the escalator to B1. Then take the Taoyuan Airport Metro from A13 station to A1 station. 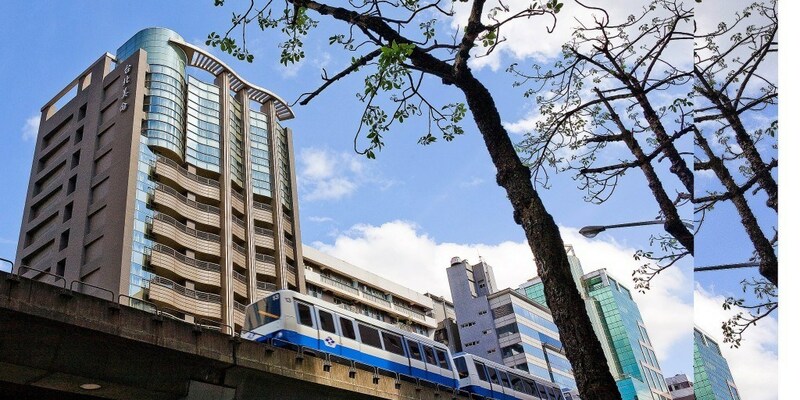 Follow the direction to the Taipei Metro (Red Line 10), and take the MRT from Taipei Main Station(R10) to Daan Station(R05), the hotel is just in front of Exit 6 of the Daan MRT train station. Must complete the In-town Check-in Services at three hours (180 minutes) before flight departure on the same day. Airlines with In-town Check-in Services: China Airlines, Eva Airways. Walk along Section 1 of Fuxing South Road and Dongfeng Street, cross at the crosswalk, walk South to Section 4 Xinyi Road, about 100 meters to reach Park Taipei Hotel.